Modern world history also records times of revival due to the hearing of God’s Word undergirded with prayer. The little nation Wales once become known as “The Land of Revival.” It has its own unique spiritual heroes such as Saint David of the Celtic Church – William Morgan with his translation of the Scriptures into the Welsh language – Howell Harries and Daniel Rowlands, contemporaries and co-workers with Whitefield and Welsey in the 18th Century Methodist Revival, accompanied by William Pantycelyn, and the Welsh Charles Wesley – who provided the spiritual sound track with his unique hymn writing ability. Fredrick Fogle wrote: “When a true revival, initiated by God occurs in the hearts of Christians, the Holy Spirit will help them to understand that it is real. 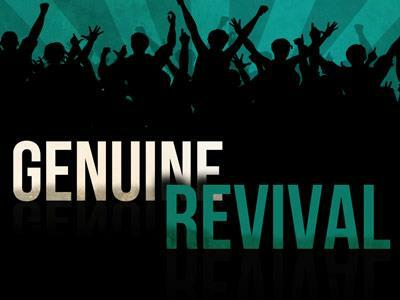 The proper understanding of what REVIVAL really is has become illusive for many. One of the best ways to define TRUE REVIVAL is to cite a positive and powerful example. The example chosen for our purposes is a brief account of the revival in Wales in 1904-05. The Welsh revival of 1904-05 was a divine intervention that drastically changed life in churches, homes, mines, factories, schools and even places of leisure and entertainment. 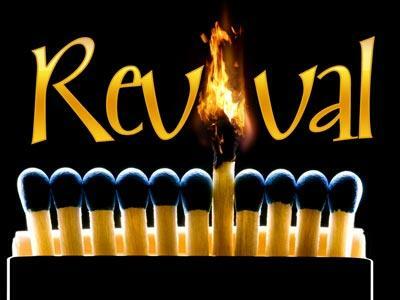 God used young Evan Roberts to spark the new fires of revival. Roberts responded well to the spiritual atmosphere of his home background. As he matured, he grew spiritually and gained a broad knowledge of literature and music. He enjoyed the interaction of intelligent conversation. One of his motives as he grew to manhood was to bring each of his endeavors in life into subservience to Christ. In Evan, prayer and poetry became a beautiful blend, communion with God and music became practically synonymous. The year 1904 proved to be crucial. Prayer meetings for world revival were being held in many places throughout Great Britain as well. Young Roberts already had prayed for thirteen years for the Holy Spirit to control him. He determined to read and speak often about revival. His personal prayer effort culminated early that year when he felt the need to spend seven hours with God in prayer and Bible study each day. By October 1904 the Lord’s Spirit had communicated to Roberts that he was the preacher of revival. Another man God used was Seth Joshua, a leading Bible teacher. He prayed for four years, asking God to select some able person to present revival truths. The Lord answered his prayer by calling Evan Roberts. After the Word of God had accomplished its work in his own life, Roberts intensified his praying in travail of soul for a great spiritual awakening in his beloved Wales. His spiritual thirst to see people saved was evident. He was not interested in mere intellectual renaissance. Roberts went to his hometown of Loughor with the desire to share his burden with his Christian friends. A service was announced, and many young people attended. With great liberty, Roberts spoke of the deep things of God. Because of the clear manifestation of the conviction of sin and the need for cleansing by the Savior, that first meeting was continued until midnight. The next day many comments were made in the village about the event. The people were amazed. With the special work of God clearly visible, it was decided to keep the chapel open day and night so that worshipers could go there to pray and to praise God. Everything sprang into new life. Former blasphemers became eloquent, both in prayer and praise... Drunkards forgot the way to saloons... they were busy worshiping... It was the young people who responded with the greatest alacrity to the challenge of absolute surrender and consecrated themselves to the service of the Lord... With ever-increasing momentum, the movement advanced, creating unprecedented excitement among the churches and the secular institutions outside. (Matthews, I Saw the Welsh Revival, Moody). Coal miners crowded into prayer meetings that lasted till 3:00 a.m. and they washed, ate breakfast and returned to work. Many drunkards confessed their sins and received Christ. According to the London Times of February 2nd, 1905, due to the Welsh revival many men abandoned dens of iniquity. Employers noticed a great improvement in the work produced by their employees. A judge named Sir Marchant Williams said that his work was much lighter especially regarding drunkenness and related offenses. The revival fires burning in Wales in 1904-05 spread through England, Ireland and Scotland. Prayer meetings multiplied. As many as 2,000 attended a prayer meeting in the city of Bradford. In the City of Leeds, Samuel Chadwick reported that his church was never empty all day. An amazing work of grace transformed life in factories. In 1905 a week of united prayer meetings in an English town called Nuneaton led to a ‘glorious revival’. The Prince’s Theatre was packed each Sunday night after church with 1500 praying believers and many unsaved seekers. In Bulwell, many of the most degraded drunkards were converted. In the Bedfordshire villages, whole nights devoted to prayer prepared for powerful evangelism. Joseph Kemp, pastor of Charlotte Chapel in Edinburgh, visited God’s mighty work of revival in Wales in 1904. Back in his home church on New Year’s Eve, 1905, an unusually fervent prayer meeting led to conviction of sin. 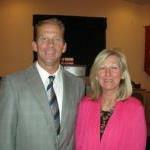 A powerful revival that continued for over two years was under way. A strong work of evangelism began. Revival fires spread through Bangor University resulting in only a third or fourth of the students attending some of the classes... Beginning with a spontaneous outburst of praise and prayer among the men students, the movement spread. 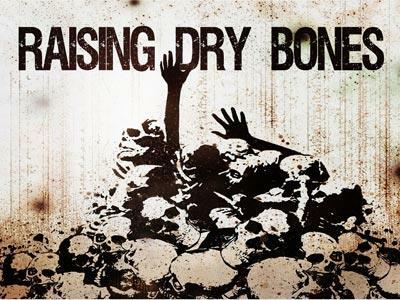 In 1905 when Fred C. Gibson became pastor of 1st Presbyterian Church in Tobormore, the little town in Londonderry, Ireland was morally and spiritually dead. So he signed a covenant with God to seek revival by his preaching and his prayers. In spite of strong resistance, God moved in special meetings that changed the Christians and resulted in remarkable conversions of hardened sinners.